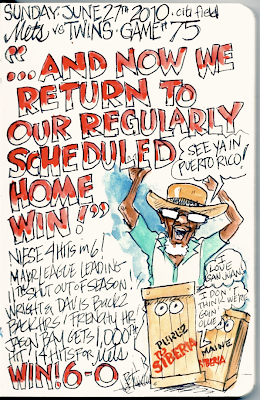 My Mets Journal: Leaving town a winner! I can't wait to get this book!! Every game is a memory that I'll be able to relive through your art work. You're really making this a special season, win or lose(Win, hopefully)and am looking forward to your October entries! I want Jerry to look this happy for the rest of the season! 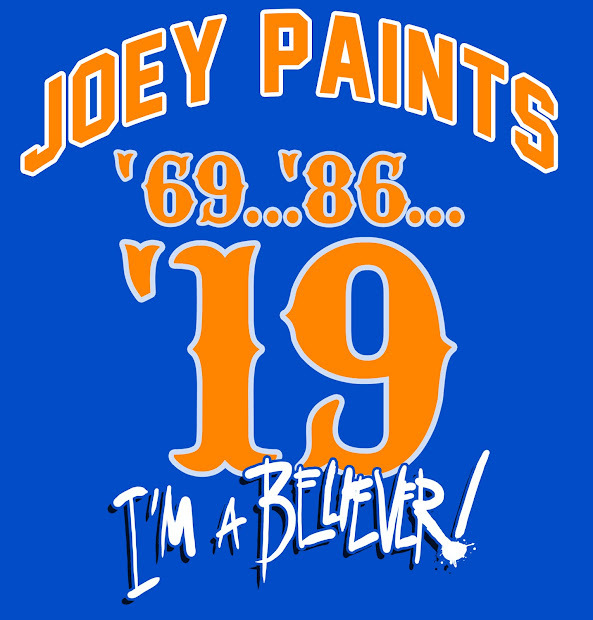 Keep 'em coming, Joe and LGM! Your journal entries are fantastic. 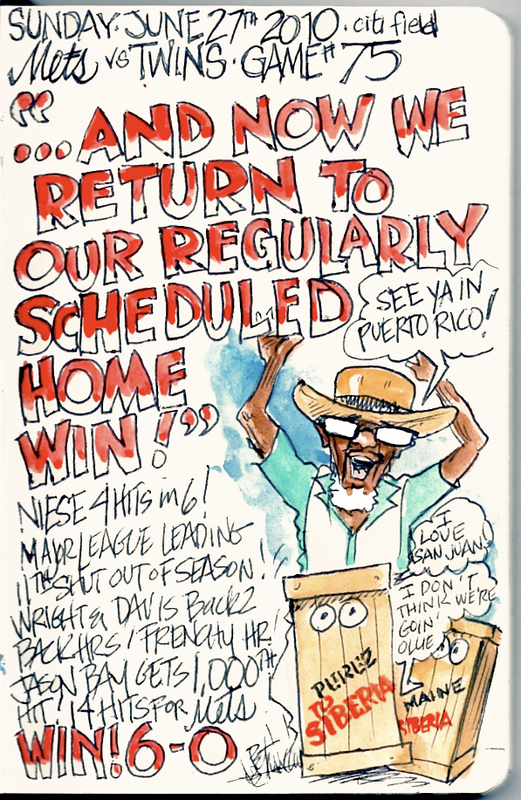 The best addition of the year are the crates with Ollie and Maine...every time I see them they crack me up. Keep up the good work!! Thanks for the comments! It inspires me to go on. I believe this is the farthest I've gotten so far. Any chance we could get a video of you creating the entry? For those of us with zero artistic ability, it would be interesting to see how these come to life. I don't know about a Bob Ross style video. But I will try to record myself drawing on of my pages for all to see. This one's fantastic. The crates are awesome and I love the fact you put Jerry in that outfit for the trip. Don't settle with those crates... Keep on trying to work something new in every so often... it's awesome!